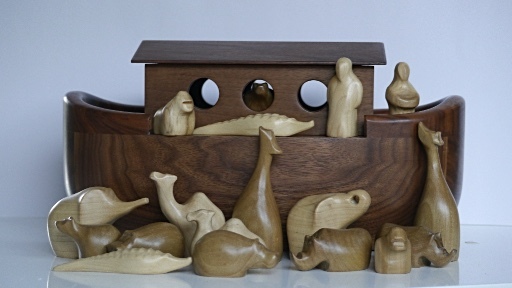 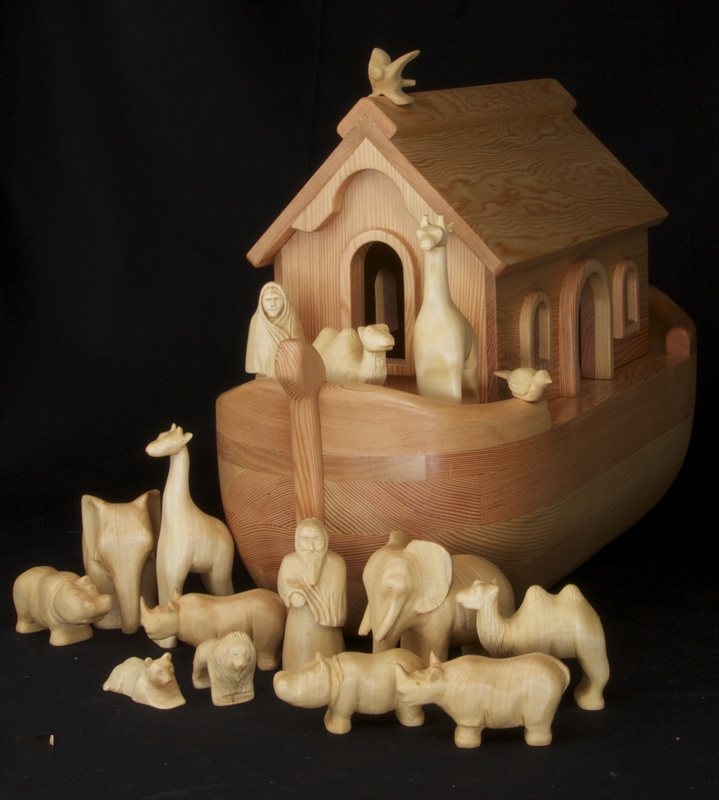 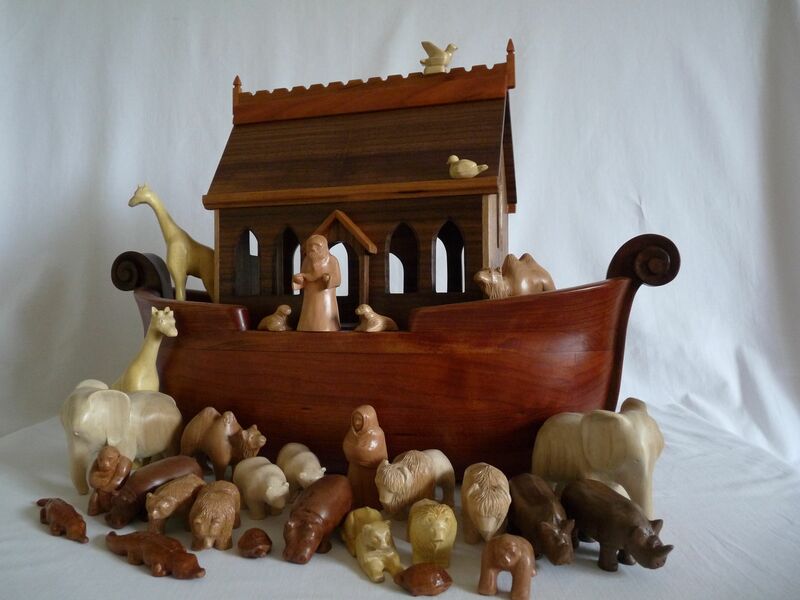 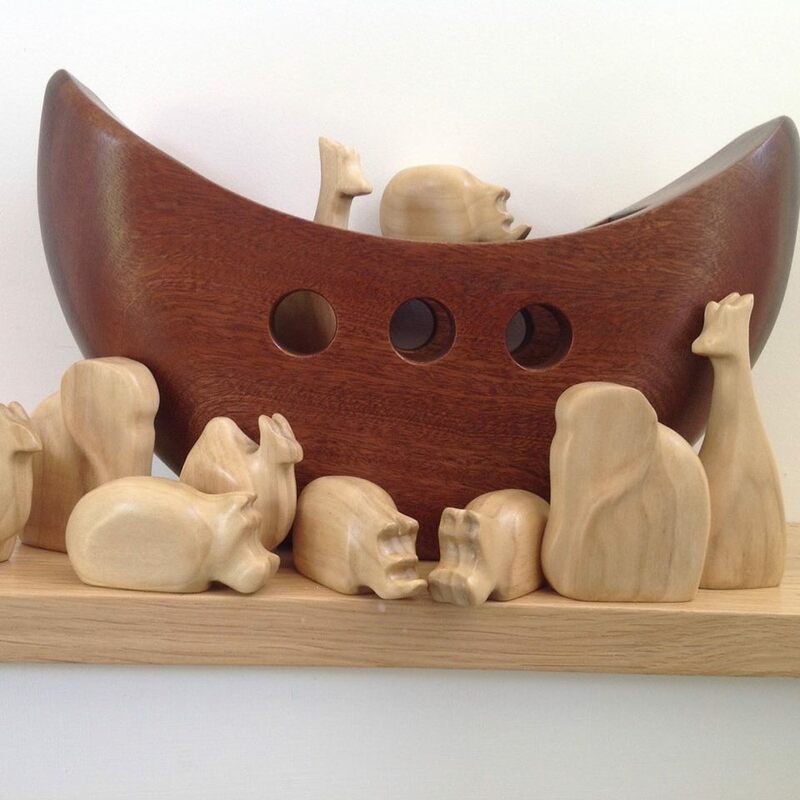 All our Arks are hand carved and decorated and can be designed to suit their owner. 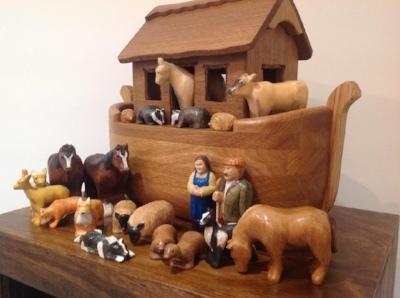 They can be populated with Traditional International Wildlife or with UK Wildlife and Farm animals. 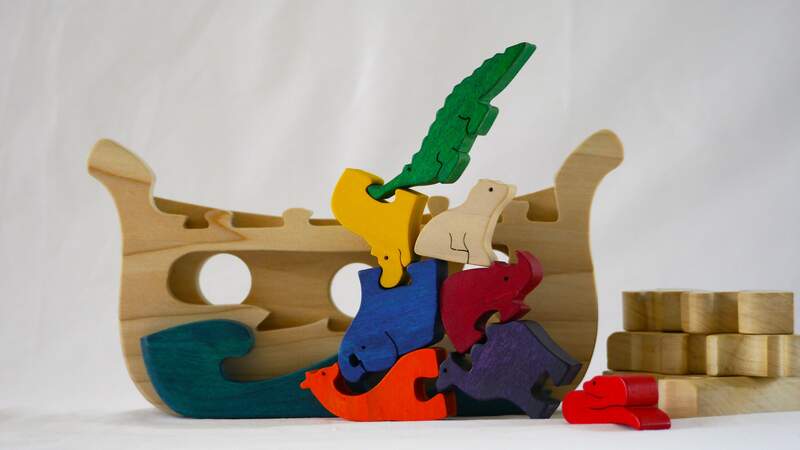 We also produce contemporary designs with chunky tactile shapes, perfect for small hands. 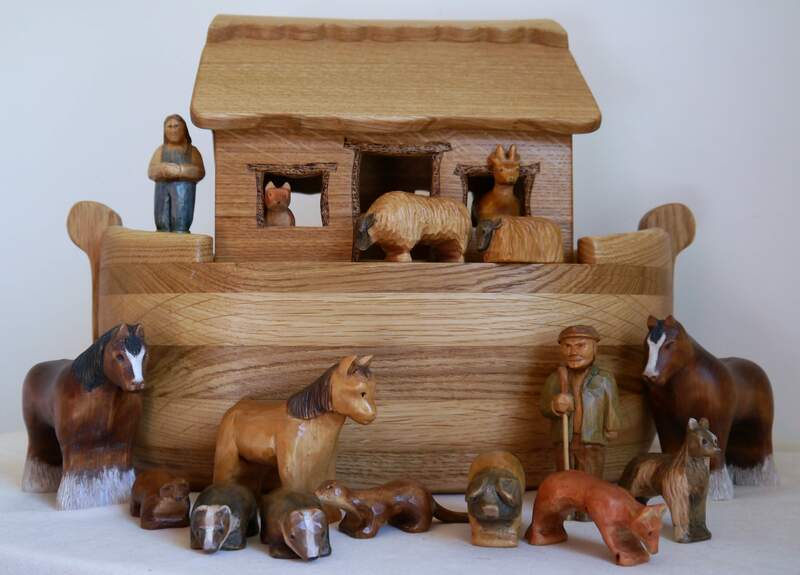 As all the larger Arks are made to order, please contact us to discuss your needs. 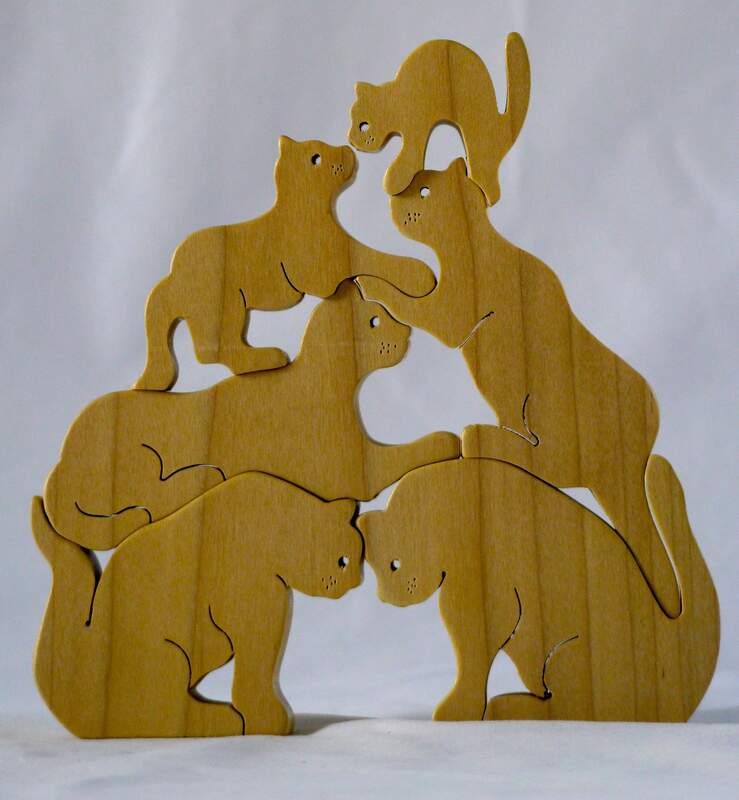 Prices range from £300 upwards depending on design and choice of animals. 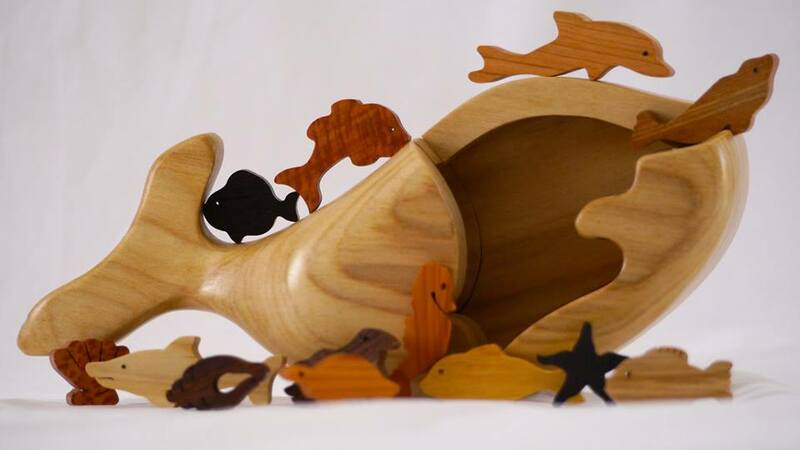 Smaller arks can be found on our shop page. 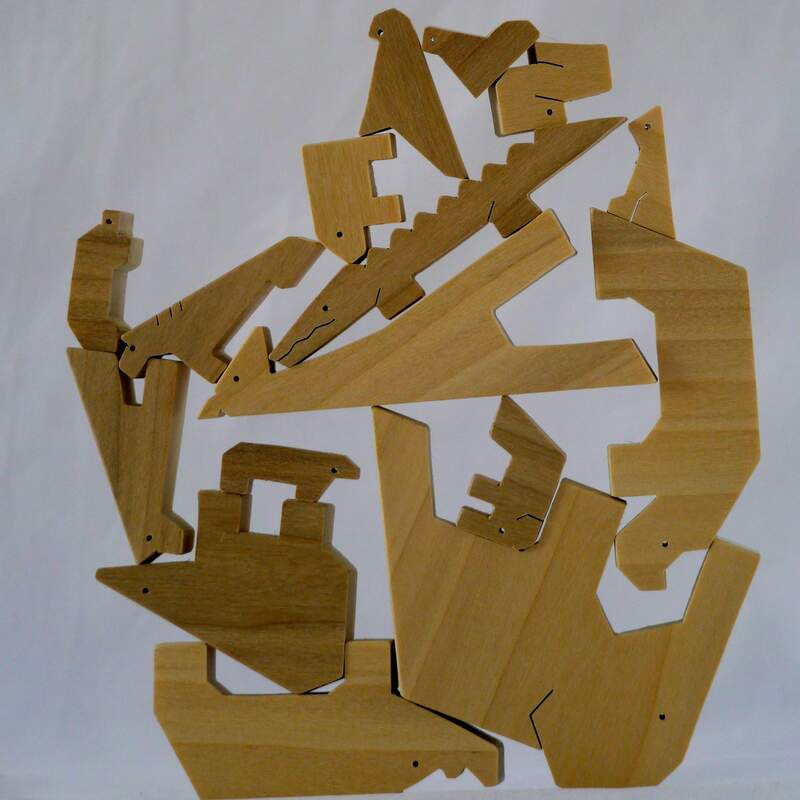 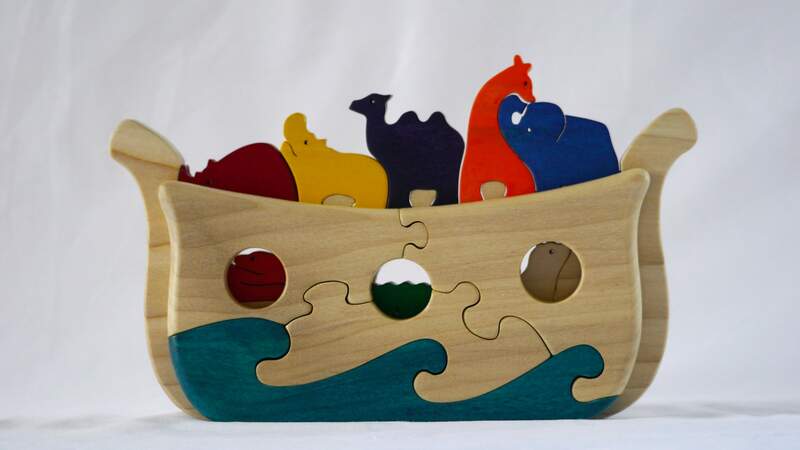 Our puzzles are designed by us to stimulate and educate through the use of shape and colour. 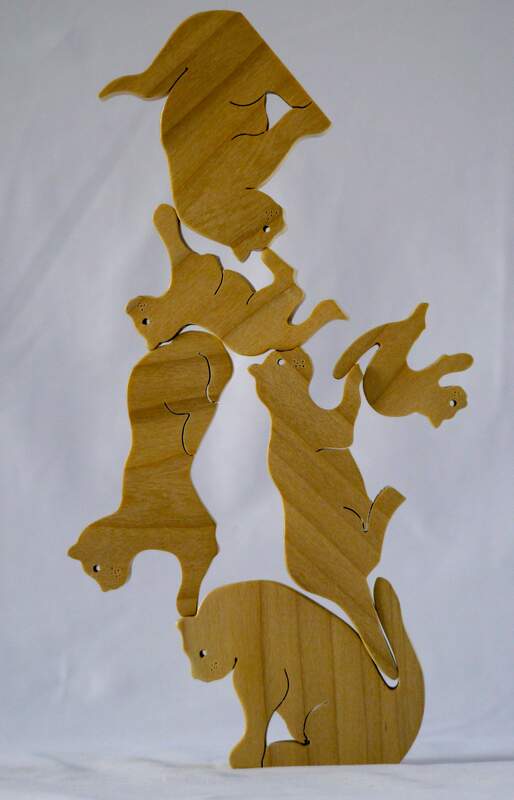 Many the designs are whimsical and encourage interaction and discussion. 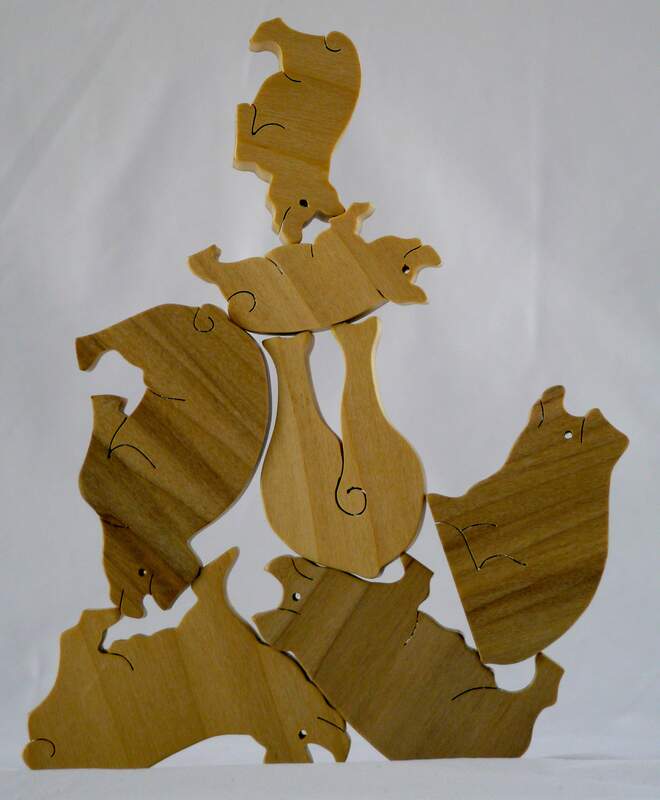 We think they also look good! 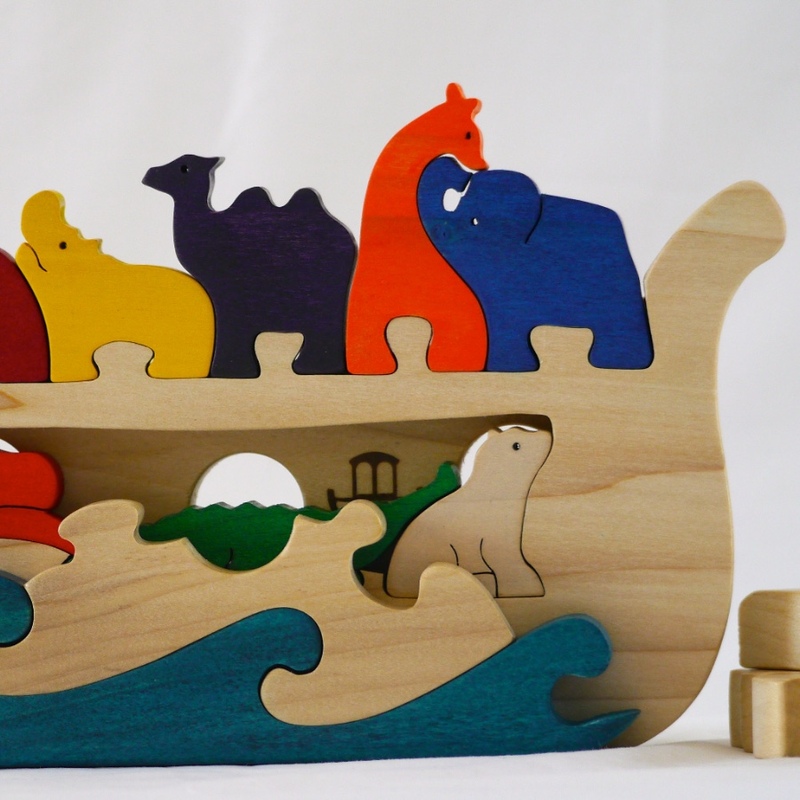 The Ark Puzzle contains 8 animals locked into the ark . 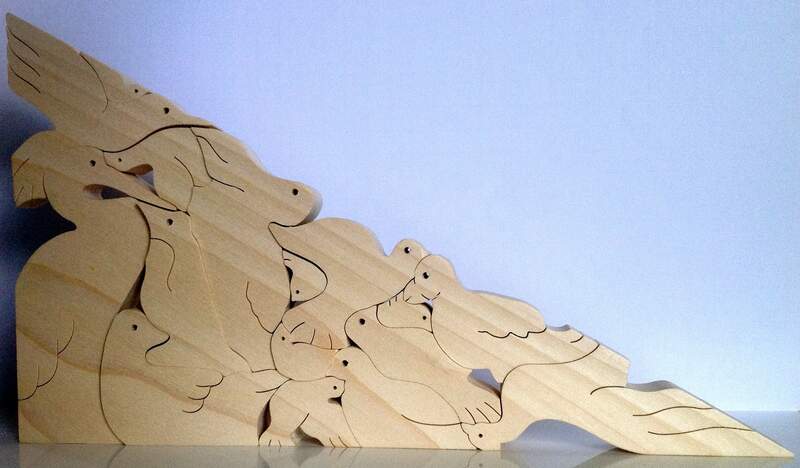 Removal of the ark side allows the animals to slide out. 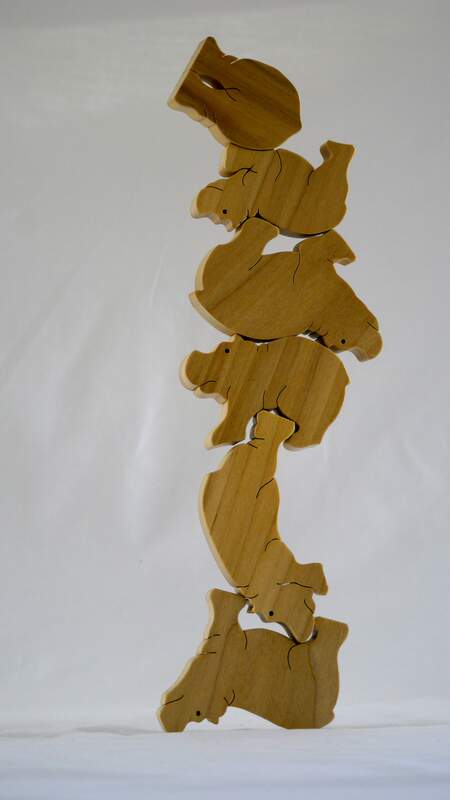 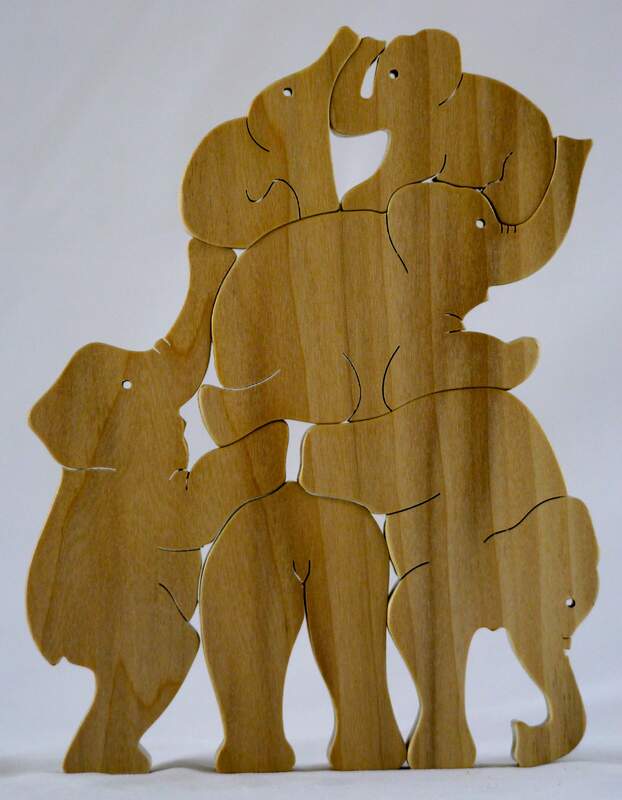 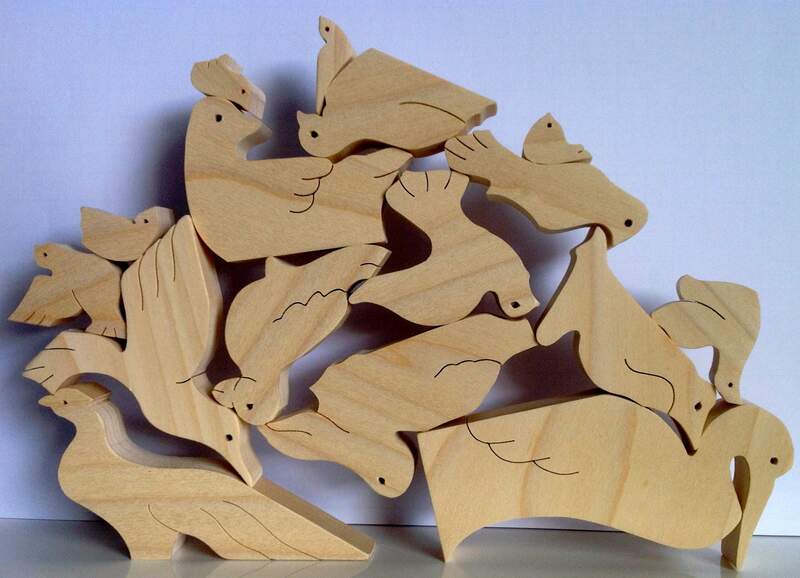 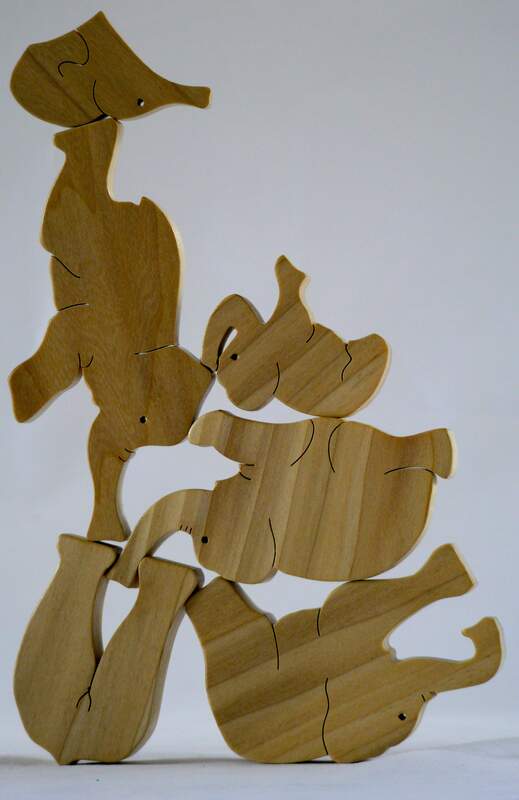 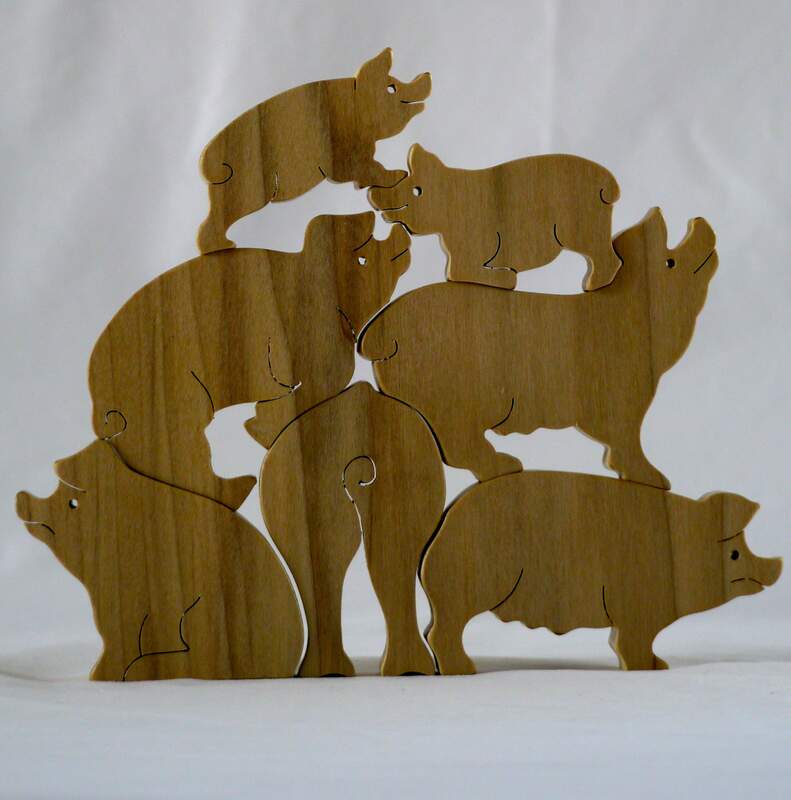 Our range of vertical stacking puzzles include Cats, Elephants, Hippos, Whales, Bears and Pigs which are designed to fit together perfectly or to be balanced in any way you can. 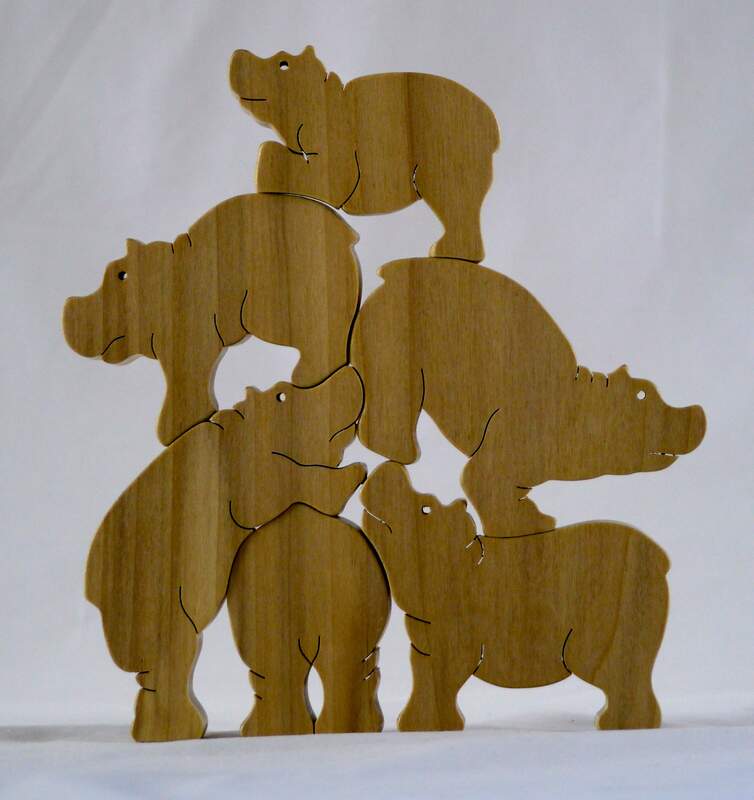 With adults or older children in mind we have designed our Trianimal Bird and Trianimal Animal puzzles , 16 pieces which fit together vertically to produce a triangle.